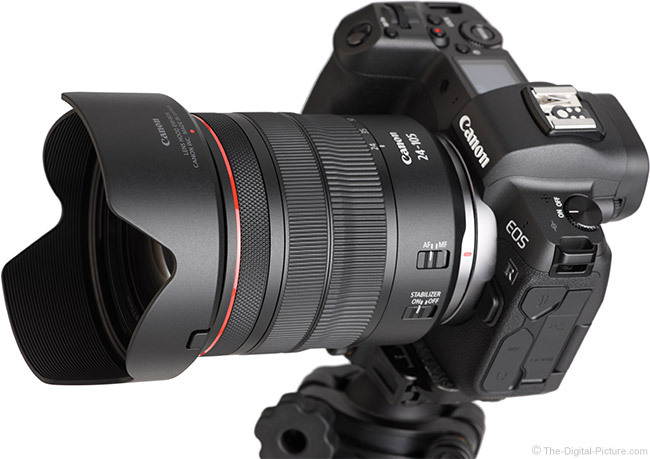 Noise test results have been added to the Canon EOS R Review page. Unsurprisingly, the Canon EOS R vs. 5D Mark IV comparison shows the two cameras about equal. I'll describe the results in more depth in the full review, but the processing standard uses Canon Digital Photo Professional with the Standard Picture Style and a sharpness setting of "1" (on a 1-10 scale). The Camera default uses the Standard Picture Style with an unsharp mask (USM) strength setting of "4" (too high). NR represents noise reduction and MSNR is multi shot noise reduction. With 250 test images with each needing many processing steps (thousands total), there is a possibility that I have an error (or two) somewhere in these results. Please point them out if you find any. Note that the ISO 40000 results are not showing due to a software bug in the tool. I'll fix that, but ... you don't want to use ISO 40000 anyway. The Canon EOS R is available for preorder at B&H | Amazon | Adorama | WEX.